The dental implant process can take some time, but is well worth the wait. Columbus implant dentist Dr. Michael Firouzian has found that dental implants offer the strongest, most secure foundation for replacing missing teeth. Not only are dental implants a permanent solution, but once accepted into your jawbone, they act as a natural tooth root. This eliminates the risk of jaw collapse or shrinkage, a common occurrence with other forms of tooth replacement. If you have insufficient jawbone to support an implant, Dr. Firouzian can discuss your options for bone grafting. This will increase both surgical and recovery time. After bone grafting, placing your dental implants normally can begin. There are two stages to dental implant placement. During the first stage, a small hole will be drilled in your jawbone. Dr. Firouzian will place the implant, a titanium screw that acts as the new tooth root, into this hole before stitching your gums around the implant. This procedure is performed under local anesthetic. If you are uncomfortable with dental surgery, Dr. Firouzian can discuss your options for sedation dentistry prior to the procedure. Following placement, the implant will undergo a process known as osseointegration. This is the process in which your jawbone accepts your dental implant as a natural tooth root. While this part of the process can take up to six months, it is vital to ensure your implant provides a permanent solution. During this healing time, a temporary crown will be placed atop the implant. Once your jawbone has accepted your implant, you will return to our office for the restorative procedure. This will include the placement of a dental crown that has been shaped, colored, and sized to precisely match your adjacent teeth. After it has been placed, your dental crown will act in the same manner as your natural teeth, providing you with renewed strength, and increased aesthetic appeal. Dental implant surgery is the most effective way to replace missing teeth. During your initial consultation, Dr. Firouzian can help you determine if this is the best option for your smile. 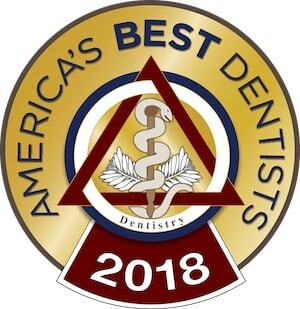 If you are missing one or more teeth and live in the areas of Columbus, Dublin, or New Albany, Ohio, please contact the Center for Family and Cosmetic Dentistry to schedule a dental implant consultation with Dr. Michael Firouzian today. Call (614) 848-5001 today.